Building your own irrigation system is not for everyone, but it’s not as hard as you might think! All you really need is determination and a good plumbing/irrigation supply store. I love my local BJ Plumbing–they are experienced, helpful, and they carry quality parts. While you can buy irrigation supplies at a discount home improvement store, I don’t recommend it. The quality of some of the products is not as good, and the advice is hit and miss. The first part in your irrigation system is a valve dedicated to your garden. If you don’t have a separate valve, you’ll have to use one of the methods described above. This is because you cannot put a low-pressure drip system on the same line as a high-pressure sprinkler system. This particular part includes a filter in it–if not, you’ll need both a pressure reducer and a filter. Every spring you’ll want to clean out the filter. To connect from the valve to the pressure reducer, I suggest you get some advice and parts from the plumbing supply. It’s a little complicated to explain it (though easy to do) and depending on your equipment you will need different supplies. Funny pipe is really strong and thick, and it would be used somewhere before the pressure reducer, depending on how you built your irrigation system. You may not use it at all. Drip pipe is the same diameter, but it is much thinner. Finally you can see the small drip pipe with emitters built in. Then, you create a network of pipe to cover the garden. I’ve done two versions of this. With the first, I ran drip pipe across the top of the bed, and then down the sides, and finished with a figure-8. If you look closely you can see my valve box, then pressure reducer, drip pipe, t-connector, drip pipe down the sides ending in figure-8, small drip with built in emitters running between. You don’t see the bottom left connector–it is also a tee that uses drip pipe to connect to the next garden. I found with this setup it was hard to get all the small drip pipe even, and they don’t like to stay where they are. It also felt like the corners and edges by the large drip pipe were not watered evenly and predictably. You can choose different flow for the emitters–how many gallons per hour. By choosing different emitters, you can provide for the different water needs of each plant. It’s not easy, but it is possible to remove these and switch them around. I love this system because it’s rigid and stays in place fairly well. If I do need to anchor it, a few key spots is all it takes. I haven’t tested it (I just built it!) so I don’t know how well and evenly it waters. I’m hopeful, though! If you have built an irrigation system for your garden, I’d love to hear about it! Describe what you use, and the relative advantages and disadvantages. It depends on the soil. Some soil holds and wicks moisture better than others. I have found with Mel’s Mix (peat moss, vermiculite, and compost) you do need more emitters. Every 6″ is idea. So either add more pipe and flags, or I prefer to add 1/4″ drip pipe with emitters spaced every 6″. That is fantastic. I am having a hard time wrapping my head around how three 1/2″ pipes and flag emitters covers all 16 square feet in a 4’x4′ raised SFG. Seems like you would need four pipes with emitters covering each square foot. No? Funny pipe is much thicker, and I’m not sure if it would fit into the corners and tees. The other thing–the larger drip irrigation pipe allows you to punch holes in it and add nozzles, spray heads, or other small hoses. Funny pipe wouldn’t work. Jake, I know this is frustrating, but it’s really hard to say. It depends on how much water your system puts out in an hour, how much your soil drains vs. retains water, how dry it is, etc. In general, water root veggies more often. Plants that like the heat can often go longer between watering (tomatoes, peppers). At a plumbing/sprinkler supply store. You can buy stuff at a box store, but the quality is poor. thanks for the very thorough and informative article. where can I find the small drip pipe connector pictured at the top of your article , not the T but the straight kind? Jake–In the end, I like having a “frame” of larger tube with the flag emitters on them. I might place the flags every 4″ instead of 6″. Then in between, I prefer to have the 1/4″ tubing with built in emitters. I love this information. I had a question. So at this point do you wish you had the 1/4″ tubing with emitters every 6″, or do you like the 1/2 tube with flag emitters? You had said that the 1/4″ didn’t want to stay in place, but you’ve changed the system several times since then. I have bind weed so I used cardboard at the bottom of the raised bed and will use newspaper and cardboard for sheet mulching on top with the irrigation on top of the cardboard..Needless to say I grateful for your comments. We have separate irrigation water, and the pressure is really high. I have put filters and pressure reducers on my drip system. I’m not sure what the actual pressure is, but this is what the guys at the sprinkler supply place in my area recommended. What PSI are you running your drip system at? I’ve heard that 25 psi is the optimum pressure. read pg 115 of mel’s original square foot gardening book. He recommends watering twice a week. He used to call it ‘patio gardening’ It is interesting to read what he said in the ‘old book’ versus the new one. There are several ways to customize your watering to address the different watering needs of plants. 1. put plants with similar needs on one line (valve) together. 2. Adjust the type of emitter/nozzle to increase or decrease the output. Still, these will still water every X days, depending on your timer. Mine is simple, so I can’t water one line every 3 days and another every 7. To accomplish this, you’d need to use the timer water semi-automatically–meaning, you push “start” every 7 days but it automatically stops after the right amount of time. During my first year of square foot gardening I have found I like the concept except for the irrigation. How does one interplant lettuce with Tomatoes when lettuce should be watered twice a week and tomatoes should be watered every two weeks? In Mel’s world he overcomes this by watering with a ladel. Well, the rest of us have lives and this just doesn’t work. I’ve read that with mel’s mix that you can’t overwater but my tomatoes grew better once I cut the water back to once a week. If I could water twice a week regardless of the plant that would be great but I don’t know if this will work. Maybe the wet spring in Utah had more to do with my plants not growing and some of my tomatoes getting vermiculm wilt than the watering twice a week. Thoughts? How has the six inch flag emitters worked this year? For folks with rain barrels, there is hope. 2. Just use a bucket and cheap fountain pump (<$15). The bucket w/pump method also allows you to easily add fertilizer. I found an online store: http://www.dripirrigation.com/ The Drip Store that has nice prices and super cheap shipping for the lightweight stuff like emitters and fittings (I think I paid <$2 to ship a couple dozen emitters and a handful of couplers). Yes, mine is a closed loop. You can do an M shape, or something like that with open lines, but I found they don’t stay put that way. You can use a single system for all three beds, but if you want to be fancy you can use one valve per garden bed, allowing you to customize the amount of water each one gets. I’ve never found a great site to help me build irrigation–I love my local plumbing store. I have three 4X4 beds and 2 4X7 beds. Do I need to develop a separate watering system for each separate bed, or do I develop them in tandem? Also, which internet site would you recommend for drip irrigation supplies and advice beyond you fabulous introduction? Thanks. Thanks for the great website, I have a excel document all laid out with all my squared filled in! Its a great idea and a great way to organize. Your website was definitely the best. Onto the point. I just put in 5 3’x10′ boxes in my back yard. I live in the desert of Los Angeles San Fernando Valley. I am going to try what you did, putting an emitter every 6″ but I am also going to try to grow some lettuce. It is so hot here that they always die before I really get to harvest much of them so I am building a 50% shade cloth cover to put over them and I was thinking I might water them with mini spray emitters every day at 1 or 2 to lower the temp. Under the shade cloth I think (hope) that the water wont burn them. What do you all think? I have seen traditional gardeners with large plots use drip irrigation, but I think it is more suited to smaller gardens (raised bed or square foot). These may be fine for the small gardens that I see in the pictures. My one garden is 50 x 30 and has a ton of plants in it every year. My other garden is 75 x 20. My plan is to use pvc with T joints and shut offs. From there I will run soaker hoses. I know the cons of the soaker hose, but this will work best for me. I don’t mind having to turn the water on and off when it needs it. The shut off valves come in handy when the row of hot peppers don’t need to get watered so often. To Rick in Mesa, Ariz. I also am in Mesa. New to square foot gardening. I want to get an automatic watering system. Ask permission for my email and we can communicate. I have found that as long as there are emitters every 6″, all the plants get enough water. If you are worried, place emitters every 4″. What do you do with the squares that have 9 – 16 plants?? Do you set up an individual emitter per plant in these squares? By looking at your irrigation photos above I assume you do not. So how do you get the water to where it needs to go for these squares? My favorite product to use in my garden bed is the 1/4 tubing with the emitters built in. I find it is really easy to use and in my bed where the plants aren’t in rows I can just loop it and circle it all over the bed. In the past I have used soaker hoses, but they seem to clog frequently and have an uneven watering pattern. The closed loop thing works just fine. In the end, I’m not such a fan of the emitters. They certainly are easier to install, but I prefer the drip pipe with built in emitters. I will probably try to replicate the effect by adding emitters so they are spaced ever 6″, like the pipe is. So how does your “closed loop circle using drip line” work for you? What is the latest on choice of emitters. I use Mel’s mix in 4 foot square boxes. I really am interested in a drip system. I have 11 boxes. Ludivine–I generally do not recommend going to Home Depot for irrigation supplies, unless all you are getting is PVC pipes and elbows. I prefer a good sprinkler supply store. If you live in an area where irrigation is common, you’ll find these all over the place once you start looking. My experience is that the parts are higher quality and the service is so much better than Home Depot or Lowes. I found this website: http://www.irrigationdirect.com It seems that all the customers are really happy about their products and services. The prices seem reasonnable. I will try them. They even have tutorials. First of all thanks a lot for the website which is full of very useful info. This is the firts time I do my vegetable gardening and bought Mel’s book. * Fisrt what is the cost of your system for each bed? * Then where could I buy my supply. I checked Home depot surprisingly they have have this. I checked amazon but it hard to tell what system is good (bad comments or no comments at all sometimes). *How long does it take (roughly) to create your perfect watering system? Thanks again for your help and I will keep browsing your great website. Cameron–I have not been as happy with the flag emitters. In fairness, I placed them about 12″ apart, where my built-in emitters are 6″ apart. This year I will add more emitters on the drip pipe–so they are every 6″. I will probably add a few lines of pipe with built-in emitters so that there is water every 6″. Sorry for the barrage, but I have a lot of question. I’m curious about an update on your second (newer) design. How has it been working out for you? I like the idea – but I’m wondering if there are any changes you had to make (or would make if something didn’t work out as expected). Are the flag emitters working out OK for your application? I saw Brian’s comment above about the 360 emitter and was wondering if you had any thoughts or opinions about that kind of setup. 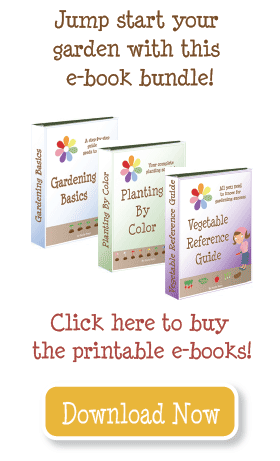 You should check out some drip kits for your garden online. I buy all my fertilizers and supplies right on the internet. I don’t think this would provide enough pressure. Sorry! We have rain barrels- do you know if you can use these with this system or is there not enough pressure?? I installed my drip system about a month ago. I use a 360 degree shrubbler emitter, which is adjustable. I bought an electric timer that hooks up between the hose and the drip line regulator. It was about $30 from Home Depot. It is ideal because I can adjust the different emitters to deliver the right amount of water to each plant. I water for about 4-5 minutes in the morning and evening (because of the California heat). I talked to a few people who specialize in container gardining and they said that I want to water until the water is flowing out of the bottom of my containers. With Mel’s mix, you really do not have to worry about overwatering during the warmer summer months. I hope this helps. I use a drip irrigation system without a dedicated sprinkler valve. I have a hose bib nearby and found (at my local home improvement store) a single timer. I can set it for a certain amount of minutes every day, every other day, or every third day. While it isn’t perfect, and I often water by hand, I also like to go out of town a lot! My emitters are 2 gallon, but I’m not sure what my small drip pipe with emitters puts out. What I suggest to do is a test–turn on your valve (either manually, or with your timer) and let it run until you think it’s watered enough. Keep track of how much time that takes. I water mine the same as my yard, which probably has disadvantages. That is about every 5 days in the spring, and then every 2-3 days in the heat of summer. I might over-water, but since I use Mel’s mix I don’t worry so much. It drains really well (at least compared to my 100% clay soil). How long do you leave your drip irrigation system on for each watering? Also, how often do you water? Do you use 1 gallon/hour emitters or something else? Thanks! I don’t like soaker hoses, but I think that’s because I use Mel’s Mix. With the mix, I don’t think soaker hoses water very evenly and predictably. To really get good coverage you’d need so many, and by the time you spend your money on more than one soaker hose, you could have built another more effective watering system. Do you have an opinion on soaker hoses? What a great rundown on all the irrigation options out there. I’ve been using a hose / bucket combo but I’m considering a different method. Thanks for this post.